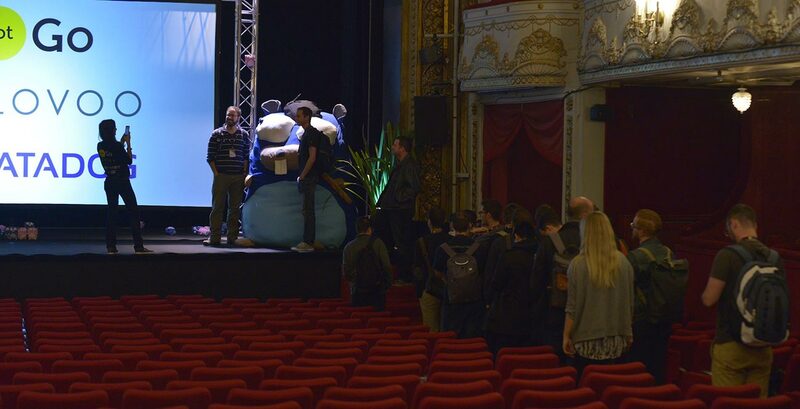 The Birth of "Le Gopher"
2016 was the year a giant gopher chose to attend the dotGo conference. He picked the best seat ever, right on the stage. 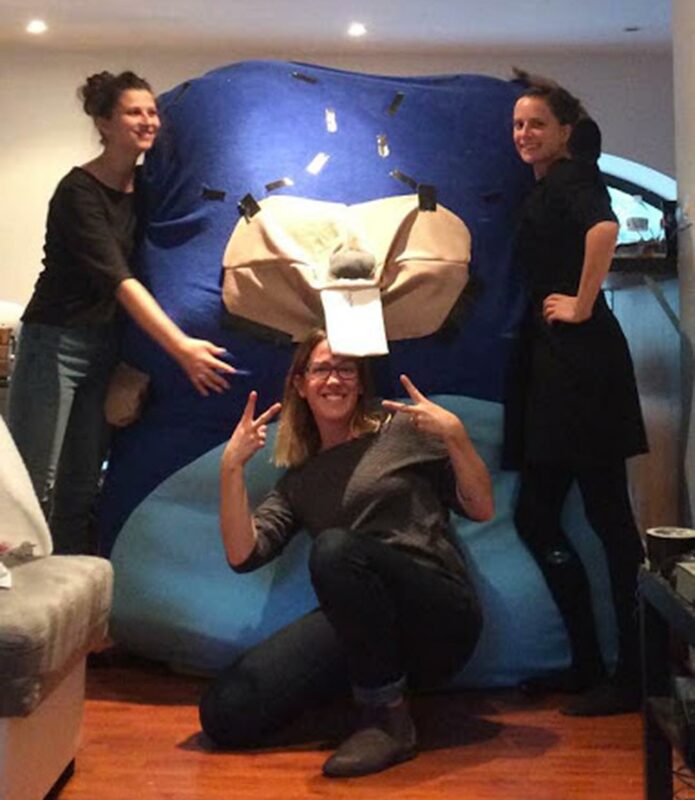 This is a guest post by Éliane Zimmer, our stage designer, on the behind-the-scenes story of its birth! - So! 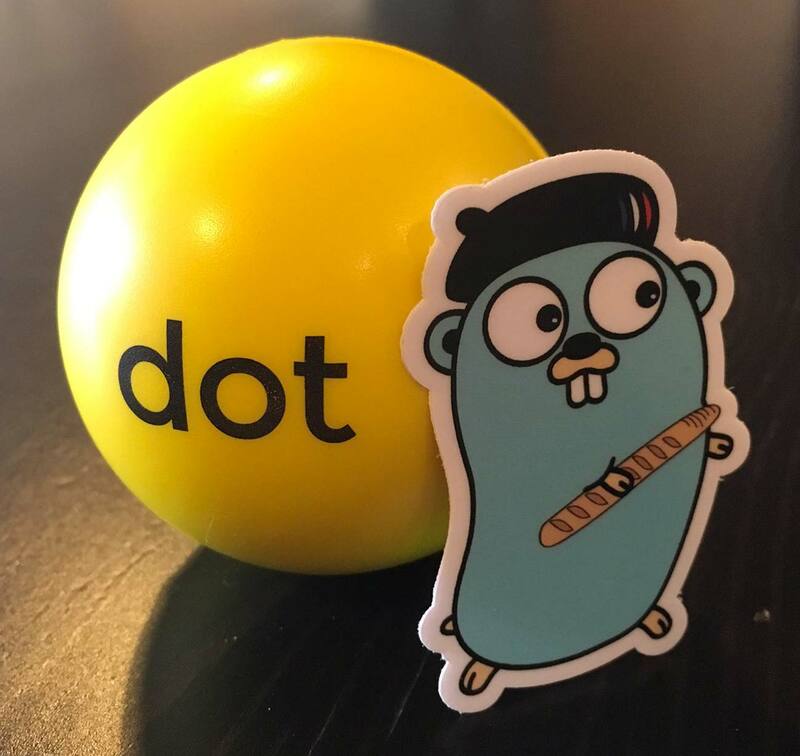 What should we do for dotGo this year? (This is how it usually starts…). Last year, Go was under construction but what to do for 2016? 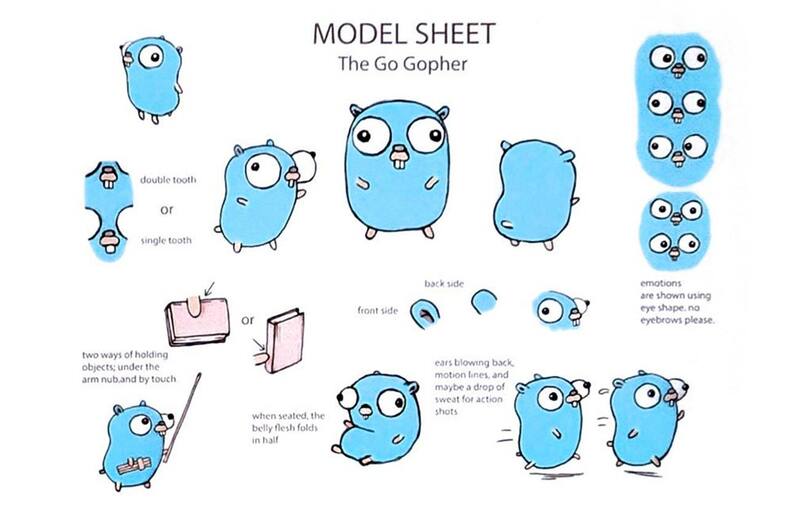 - Well, what represents Go the best is the Gopher. 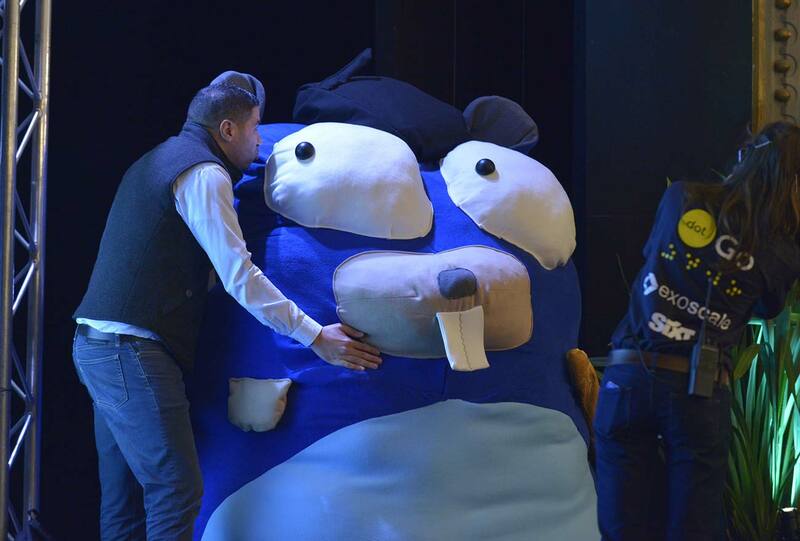 - It would be so cool to have a GIANT gopher on stage; I mean big like... human scale! And that was it, we were on track for a new project. 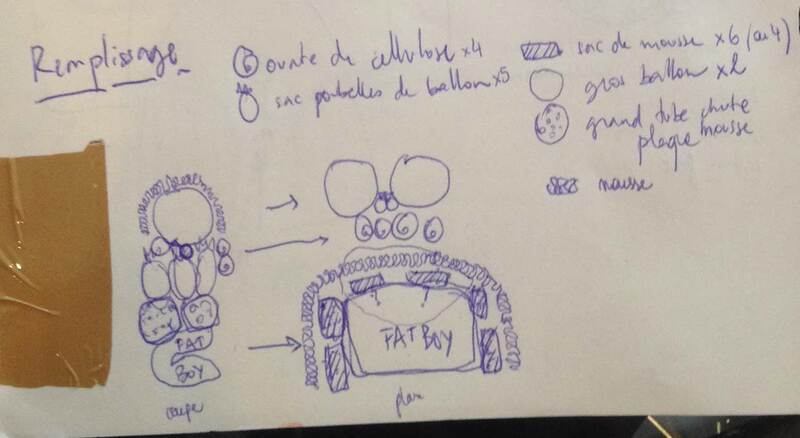 Since we were already working on a French version of the gopher, it made sense to base our stage design on it. First things first, I study Renee’s guidelines and take the measurements of the small gopher we have at home. The next step is to buy the material. 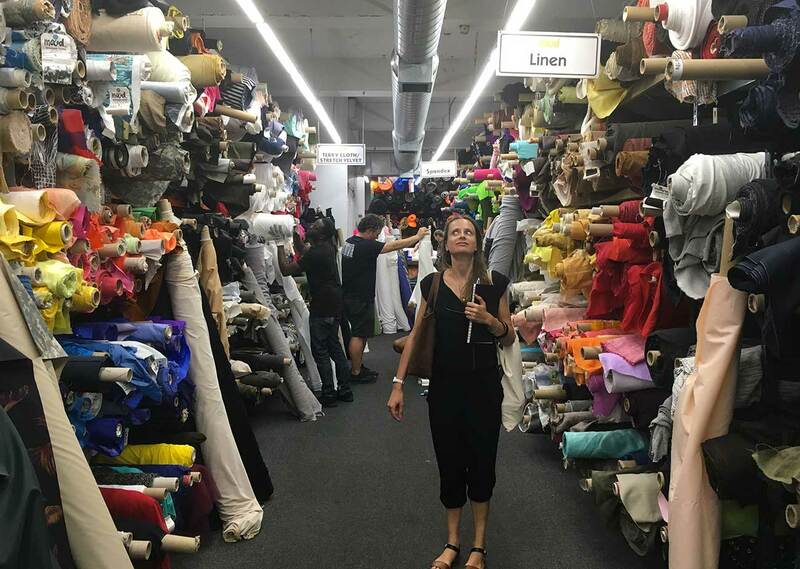 After a few tries in the Flatiron district, I finally find the perfect place, I guess the biggest fabric store I have ever seen. “Hairy fabric” is not that common, even here, but we find the perfect couple of dark and light blue in the polar section. 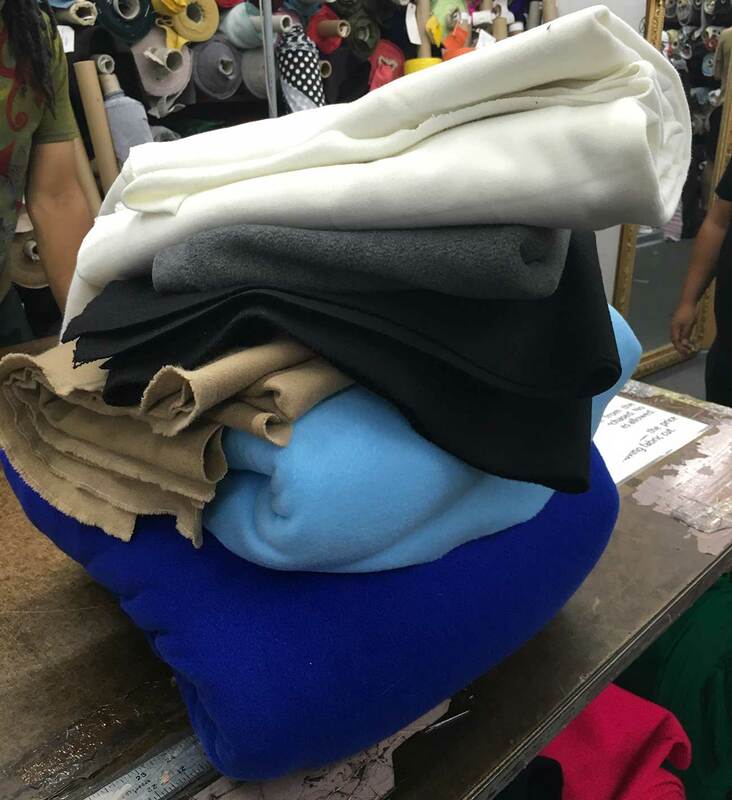 My computation of ‘areas' ends up in a big pile of fabric. And then, the whole fabrication process starts. Let’s do a prototype first, to check my measurements are right. 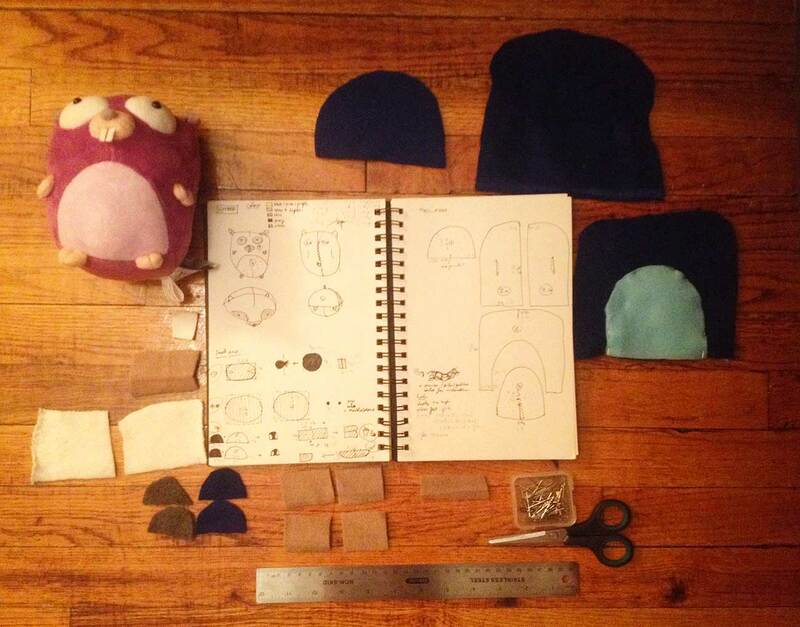 I cut the different pieces of work from the final fabric and roughly assemble them with pins. 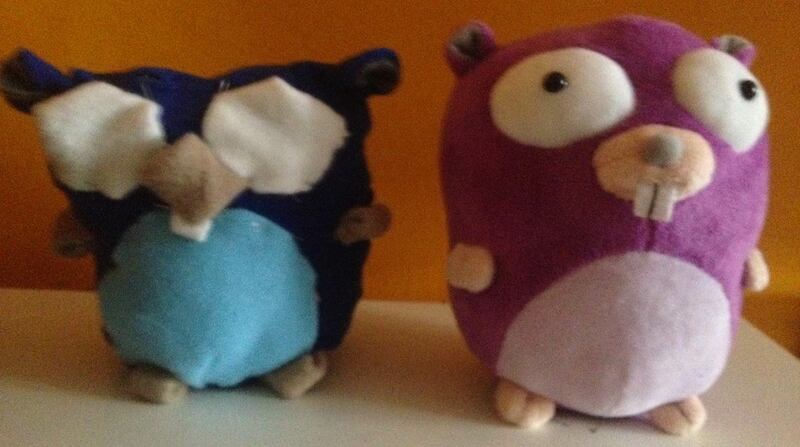 My gopher gets a twin brother, who does not look very healthy but who can stand already. 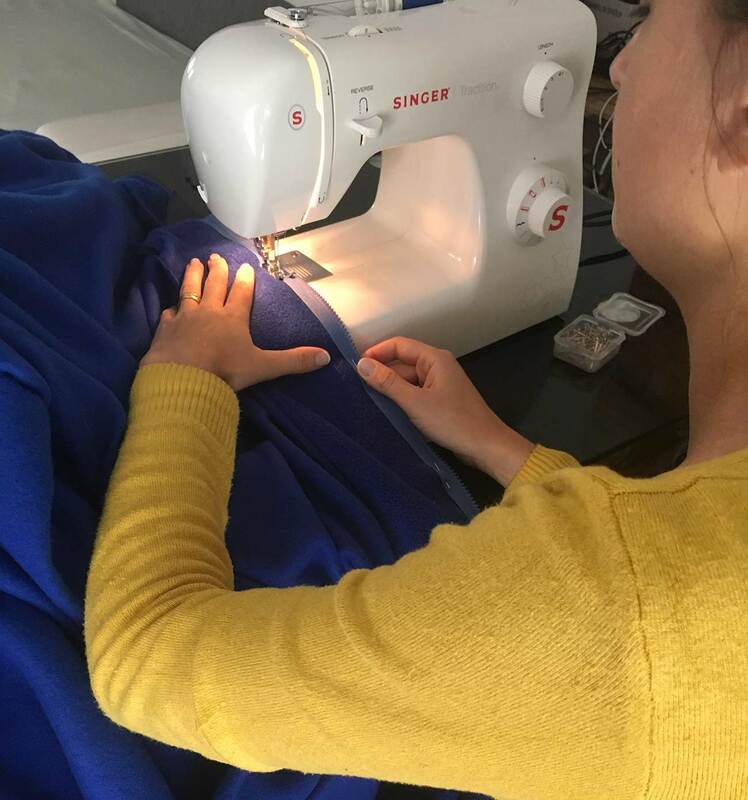 After a few adjustments, I jump to the real deal and start cutting the fabric. 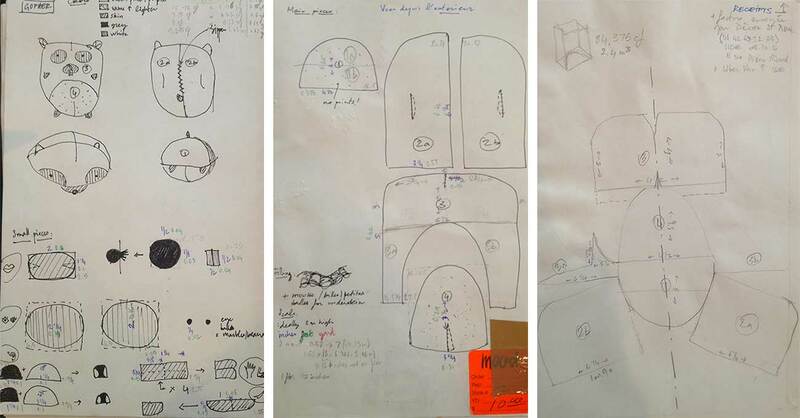 Each piece is numbered to relate to my plan, or 'patron' as they say. 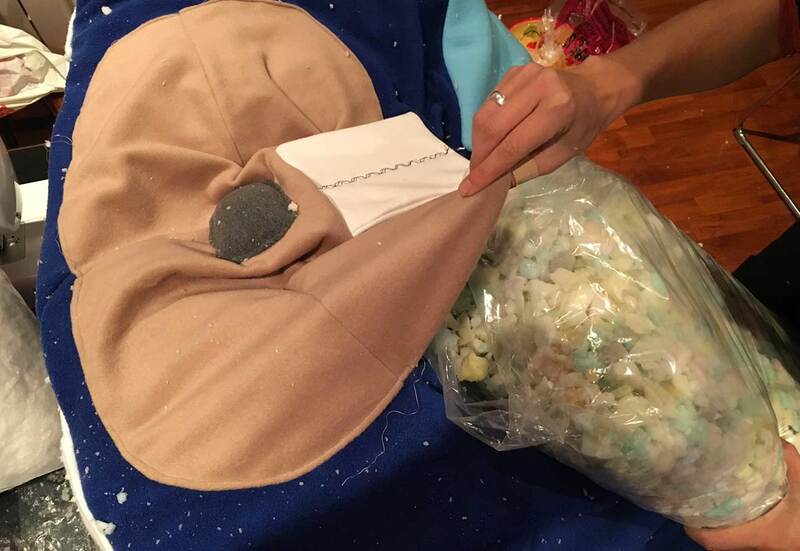 Then starts the delicate work of assembling the different pieces with pins. 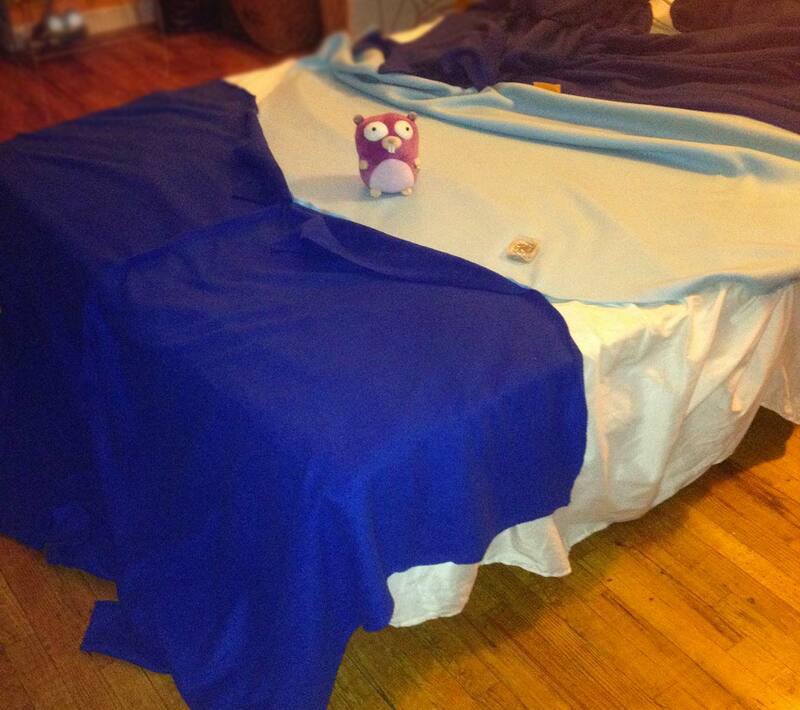 I assemble the gopher upside down to hide the seams, and leave extra fabric just in case. As you can see, this giant gopher is all over the place, squatting my bed already. This is when I fly to Paris. With no passport, the gopher is bent over backwards in a suitcase and smuggled to Europe, no questions asked (though I found later a report of inspection in my luggage). 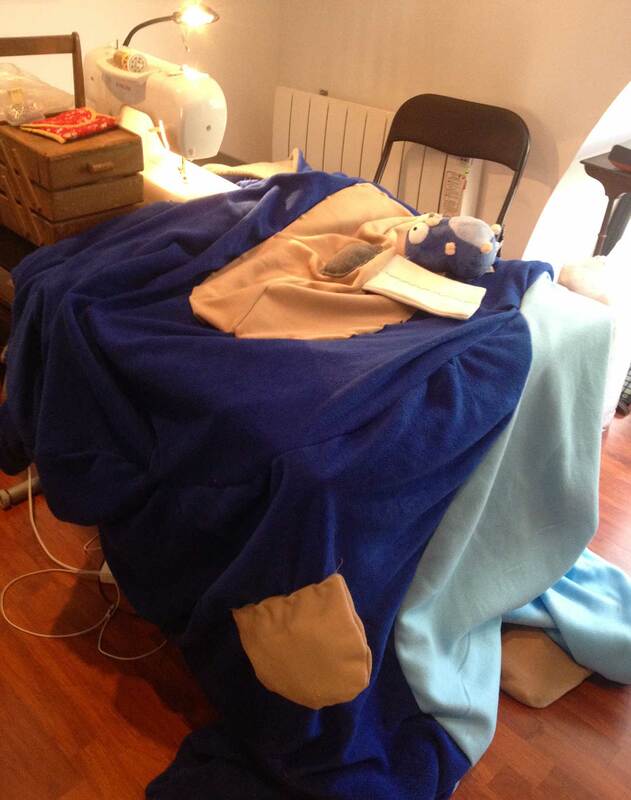 As soon as I land, I liberate the beast and start sewing like hell. The giant gopher is still sluggish but slowly getting real. Everything comes together but the character is finally there when I add the muzzle. Then the hard part starts. How to get this guy an actual body inside that slack skin of his. 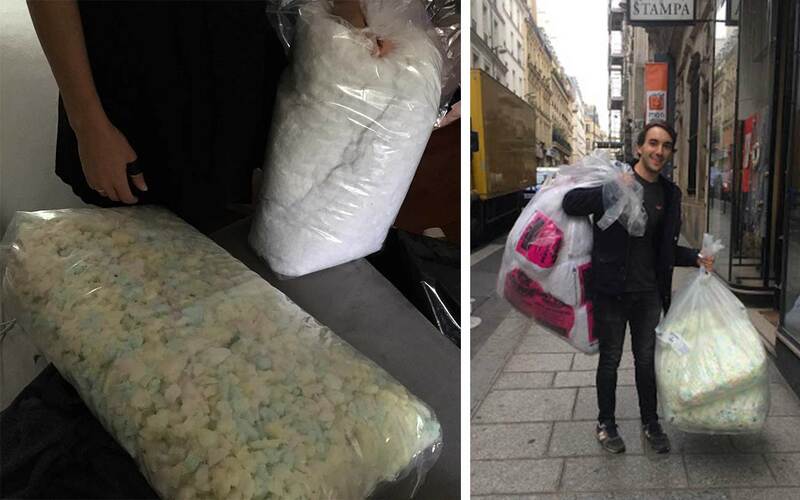 And at that scale, this is not an easy task… We go for a “foam mission” all over Paris. The Sentier, where we live, remains an important hub for textile and was helpful for last minute errands and “filling studies”. 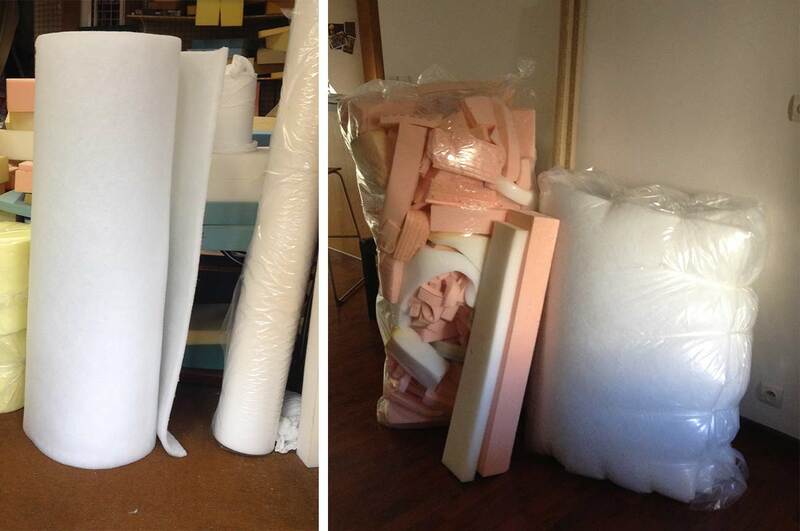 But we are going to need a LOT of foam! So the Marché St Pierre, by Montmartre, is where we end up. 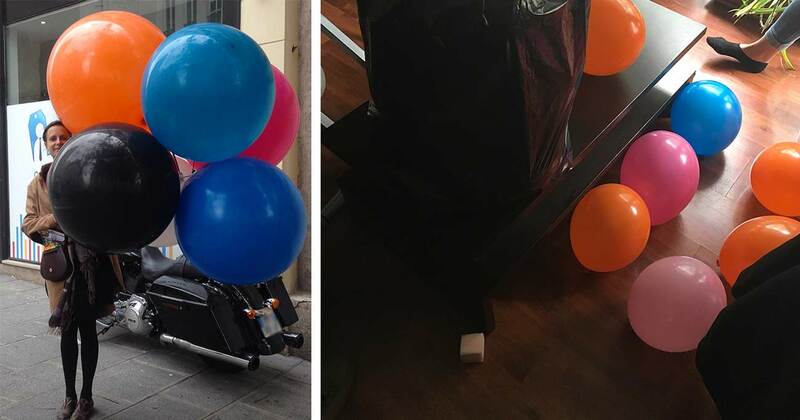 We also use balloons to build up the volume, and foam and cotton used to fill cushions for a smoother finish. Nose, feet and hands are pre-filled while we keep the eyes un-sewed to be able to relocate them. 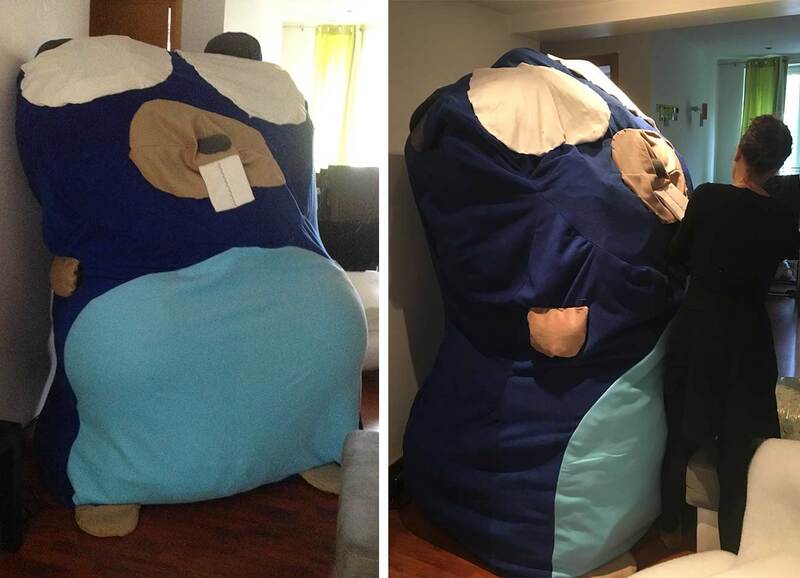 With all of this at end, the apartment becomes a cushion warehouse and we fill the giant plush with everything at end. 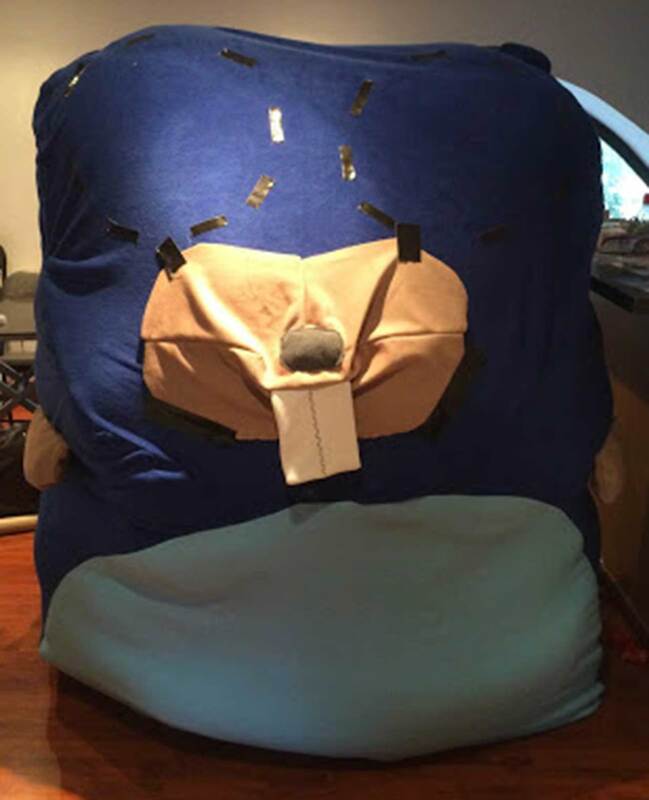 The first creature does not look so good but with a different set up of the filling inside and after an hour or so of hard gut work, our Frankeinstein starts to look like something. Ok, this is not perfect, but it will (have to) do! The next day, the giant gopher is drained again, this is how he travels. The night before the big day out, on the very stage, the filling is still a hustle. Between screen set-up and sound checks, we stuff, we pull, we push, we fight. That floppy belly skin of his is lifted again and again, those side bumps are pushed away, and final touches are made. Namely, the position of the black pupils (made of a dot ball from the swag batch painted in black) is what gives the gopher his facial expression. 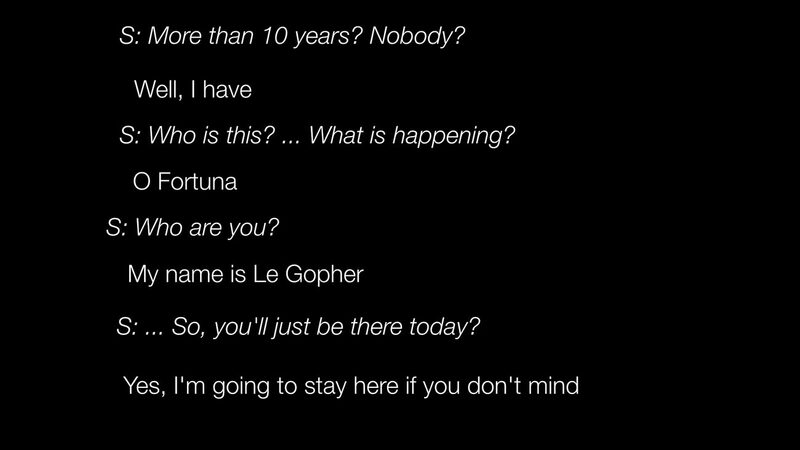 The giant gopher will finally be born and dramatically unveiled to the world at the sound of Carmina Burana with a surprise conversation with the host at the beginning of the conference. 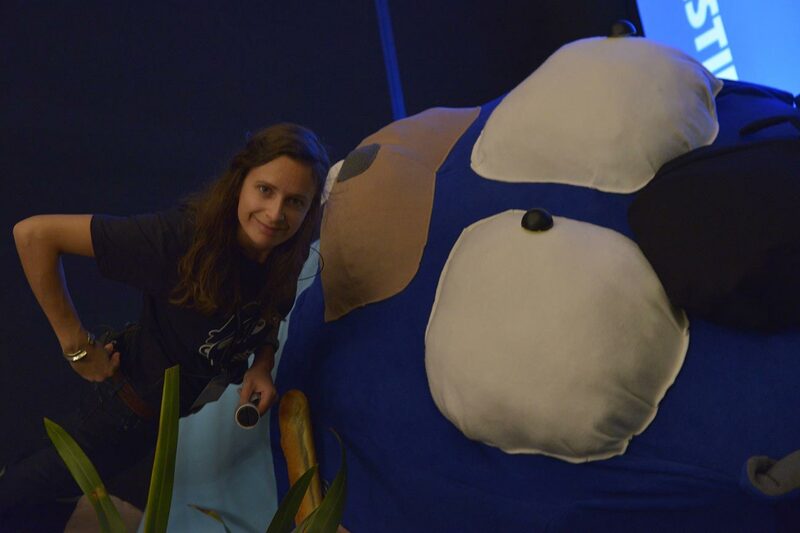 Of course we made his voice pretty deep. 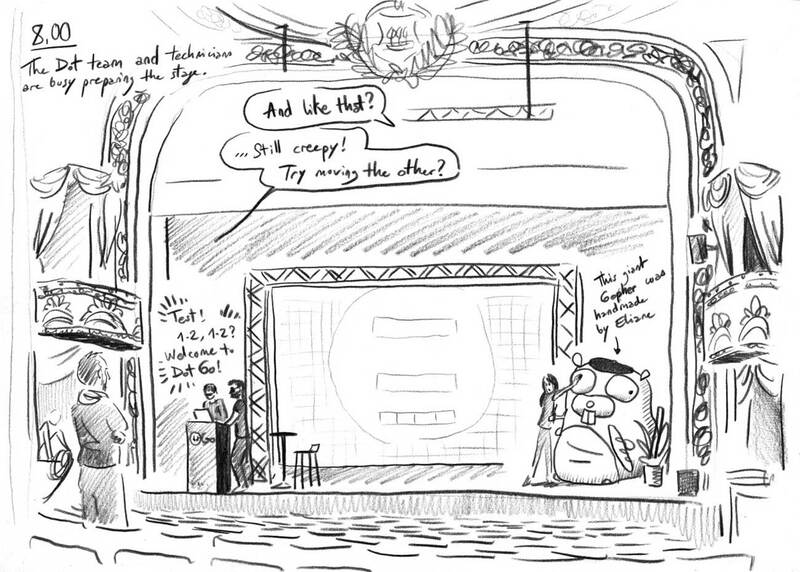 The gopher faced proudly in front of a whole theatre audience filled with laughter and applause. His joy was complete. 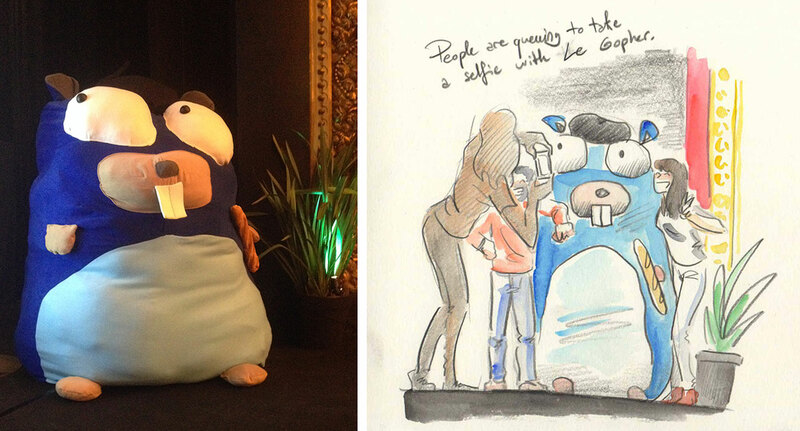 During the lunch break, attendees queued to take a seflie with him. What a star! 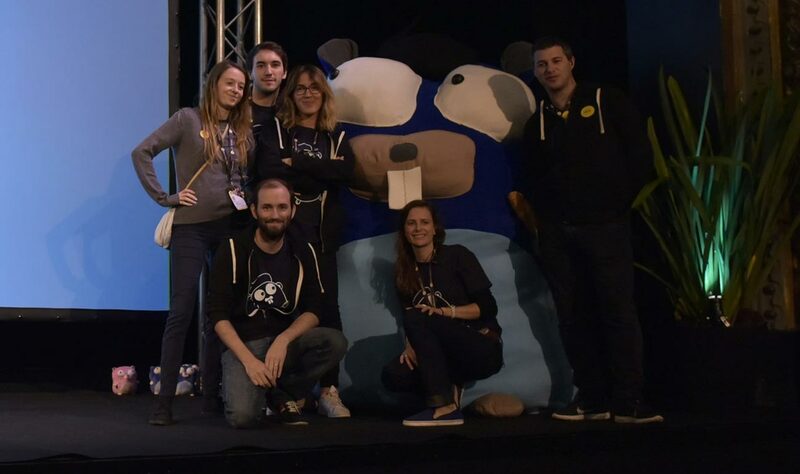 Special thanks to everyone who helped to make Le Gopher: Renee French, Blandine de Montmorillon, Margaux Etienne, and the whole dotConferences team who always believed in him.